Body contouring helps men and women in Orlando, Winter Park and surrounding areas of Florida, reduce excess fat and highlight their contours, and you can see some of the results in our body sculpting before and after pictures. 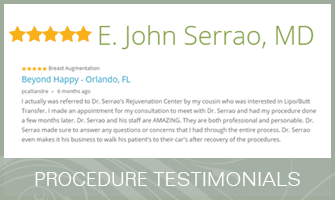 At Serrão Rejuvenation Center, Dr. John Serrão, a board certified gynecologist and post-graduate trained cosmetic surgeon, offers body sculpting for women in Orlando, Winter Park and surrounding areas of Florida. *The Photo Galleries contain medical information that includes graphic visuals of medical pre-operative and post-operative photos that may be disturbing to some viewers. DO NOT ENTER THE BEFORE AND AFTER GALLERIES if you do not wish to see these images. Access to this medical information is NOT AUTHORIZED for those UNDER THE AGE OF 18. By entering this page, you hereby certify that you are 18 or over. After you browse our body sculpting before and after pictures, contact us to schedule a consultation and begin your rejuvenation today. At Serrão Rejuvenation Center, Dr. John Serrão, a board certified gynecologist and post-graduate trained cosmetic surgeon, offers body sculpting for women in Orlando, Winter Park and surrounding areas of Florida. 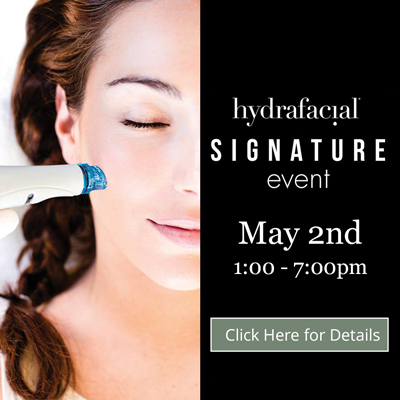 For the latest news and offers from Serrão Rejuvenation Center. We've made arrangements with several companies to offer financing plans to meet your needs. Friend and follow us on social media for information on our services and offers. Copyright © 2011-19 Serrão Rejuvenation Center. All Rights Reserved.